Happy New Year to all who visit LivingGeography - as you'll have noticed, I got back to blogging yesterday after a week away to celebrate and have a break from all things school-related. I've got over 40 posts in draft ready to work up for publishing in January. Today, the tree came down and I de-Christmassed the house, before making a to-do list for the start of the Spring / Lent term on Monday - including mocks for Year 11, and some new Schemes of Work to get to grips with, as well as writing projects to finish. Hopefully you'll come back and see us several times during 2019: the 12th year of the blog. This is the first year in as many that I haven't got any ERASMUS involvement, so will not be travelling in Europe as I have been, which is a real pity. Have a good one everybody. Make one of your New Year's resolutions to subscribe to LivingGeography so that you never miss a post. 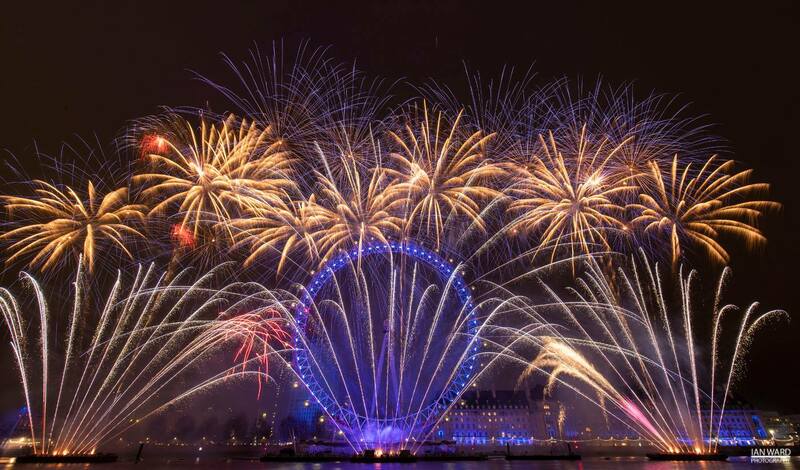 Image: New Year Fireworks 2018/19 - image copyright my friend Ian Ward, who also provided some of the images in my Hodder OCR GCSE Geography book. I hope you noticed the subliminal EU support message in the visuals here, and also in some of the music choices.